He is al-Habib Ahmad Mashhur bin Taha bin`Ali bin `Abdullah bin Taha bin `Abdullah bin Taha bin `Umar1 bin `Alawi bin Muhammad bin Ahmad bin `Abdullah bin Muhammad bin `Alawi bin Ahmad “al-Haddad” bin Abu Bakr bin Ahmad bin Muhammad bin `Abdullah bin Ahmad bin `Abd al-Rahman bin `Alawi `Amm al-Faqih (uncle of al-Faqih al-Muqaddam), bin Muhammad Sahib Mirbat, bin `Ali Khasli` Qasam, bin `Alawi, bin Muhammad Sahib al-Sawma`ah, bin `Alawi, bin `Ubaydullah, bin al-Imam al-Muhajir il-Allah Ahmad, bin ` Isa, bin Muhammad al-Naqib, bin `Ali al-`Uraydi, bin Ja`far al-Sadiq, bin Muhammad al-Baqir, bin `Ali Zayn al-`Abidin, bin Husayn al-Sibt, bin `Ali bin Abi Talib and Fatimah al-Zahra’, the daughter of our Master Muhammad, the Seal of the Prophets ﷺ.
Habib Ahmad was born in the town of Qaydun in the Daw`an Valley, South of Hadramawt, in the year 1325 (1907). His father, Sayyid Taha, was one of the people of Allah. He spent long periods of time in Indonesia and it was his mother, the saintly Hababah Safiyyah, daughter of the Imam Tahir bin `Umar al-Haddad, who raised him. She had memorised the Qur’an and would recite it while breast-feeding him. She then proceeded to give him upbringing infused with the recitation of the Qur’an and its teachings. It was her that told him at the age of seven to go and pray the Fajr prayer behind the great Imam, Habib Ahmad bin Hasan al-`Attas when he visited Qaydun. He then recited Surat al-Fatihah to Habib Ahmad bin Hasan. This in turn led to further meetings between the two. She also placed him in the Ribat of Qaydun, the religious school founded by his two uncles, Habib `Abdullah bin Tahir al-Haddad and his brother, Habib `Alawi. There he learnt the Islamic sciences. Habib `Alawi took him to Tarim where he took knowledge from the great scholars of the time, among them Habib `Abdullah bin `Umar al-Shatiri, Habib `Alawi bin `Abdullah bin Shihab and Habib `Abd al-Bari bin Shaykh al-`Aydarus. Habib `Alawi also took Habib Ahmad to Indonesia while he was still in his late teens to connect to scholars such as Habib Muhammad bin Ahmad al-Mihdar and Habib `Abdullah bin Muhsin al-`Attas. Habib Ahmad then returned to Qaydun to continue his studies with his other uncle, Habib `Abdullah. He began teaching there at the same time. In al-Mukalla’, he learnt from Habib Ahmad bin Muhsin al-Haddar, and it was from him he received his opening. He travelled to East Africa for the first time in 1347 (1928). He visited Zanzibar and was asked to teach in the main mosque during Ramadan. He began with a commentary on Surat al-Fatihah and spent 15 days expounding on the meanings of the verse: You we worship and from You we seek assistance. On a subsequent trip in 1351 (1932), he visited Habib Salih bin `Alawi Jamal al-Layl on the island of Lamu, who was one of the great callers to Allah in that region and the founder of Masjid al-Riyad, one of the first institutes of Islamic learning in East Africa. 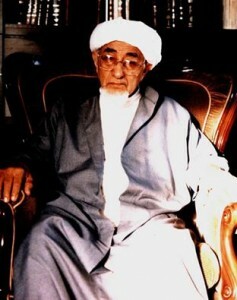 Habib Salih, then in his eighties, commanded Habib Ahmad to lead the prayer in Masjid al- Riyad. Seeing the dire need for scholars and callers to Allah in the region, he returned to East Africa after performing hajj and settled in Mombasa, Kenya’s main port. This was his base for around 25 years. His house was always full of students and visitors and he would teach in the mosques of the city. More than once he was asked to take the position of judge but he refused. He ran a small business in order to be financially independent and he would remain so throughout his life, never in need of financial support from individuals or groups. He made many expeditions into rural areas, calling local tribes to Allah. He learnt Swahili, the language of the region, and would use it for communication. However, he always made his speeches in Arabic to emphasise its importance and nobility as language of the Qur’an and the Prophet ﷺ. One of his students would then translate his words into Swahili. In this period, he established a strong connection to Habib `Umar bin Sumayt, at times visiting him in Zanzibar and the Comoros Islands. Habib `Umar also visited him in Mombasa and later in Kampala, the capital of Uganda, where he settled in 1375 (1956). Habib Ahmad returned to Mombasa in 1389 (1969). His efforts in Uganda had led tens of thousands of people to convert to Islam. Many Muslims who had accepted Christianity returned once again to Islam and others came back to the straight path after deviation. His expeditions had taken him to the frontiers of Congo, Zaire and Rwanda. He did not merely convey the message and then move on; rather he left behind teachers in communities that had accepted Islam and built schools and mosques. He would perform hajj every year and meet with the scholars of the Hijaz, with whom he would discuss and attempt to solve the problems of the Ummah. He had a strong bond with Habib `Abd al-Qadir bin Ahmad al-Saqqaf, and they would often attend gatherings together in Jeddah. He also travelled to Ethiopia, Somalia, Egypt, Oman and the United Arab Emirates. He can be described as the Messenger of Allah ﷺ is described: he spoke little and spent much time in reflection; his laugh was a smile; and he spoke to people according to their understanding. There is no doubt that he was among those mentioned in the hadith of the Messenger of Allah ﷺ: “The best of my nation are those the sight of whom reminds one of Allah.”2 He would answer anyone’s invitation and, in his old age and in poor health, he could still be seen going from house to house and gathering to gathering. His gatherings were gatherings of mercy and remembrance of Allah. At the end of his gatherings he would often recite la ilaha ill’Allah Muhammadan Rasulullah to those attending and they would then recite it back to him, thus directly receiving these words through an unbroken chain to the Messenger of Allah ﷺ. He had the utmost concern for the Ummah, and was greatly troubled by conflicts such as the civil war in Somalia, and the Iraqi invasion of Kuwait and the war which followed. Those with him said that he would be in a state of fever at the times that the Muslim Ummah was suffering, in embodiment of the hadith: “The believers in the love, mercy and compassion they show one another are like the body. If one part of it suffers from an ailment, the rest of the body complains of insomnia and fever.”3 He represented Uganda at the conferences of the Islamic World League, seeking to find solutions and raise awareness of the problems of the region. 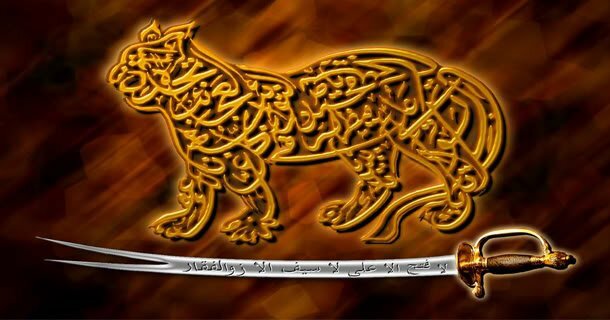 He played an important part in the spread of the work of Imam al-Haddad. Due to his influence, Imam al-Haddad’s books were republished and several were translated into foreign languages. He revived the methodology that Imam al-Haddad laid down for those unable to undertake the spiritual strivings of the elite but who nonetheless wished to travel the spiritual path. Allah says in the Qur’an: For the one that fears the station of his Lord there are two gardens.4 Habib Ahmad said of the two gardens that one is in this worldly life and one is in the next. The first is the knowledge of Allah and the Messenger of Allah and the unveiling of the realities of faith and certainty. In this first garden, the heart is filled with light and contentment with the decree of Allah. The second garden is the bliss of Paradise. 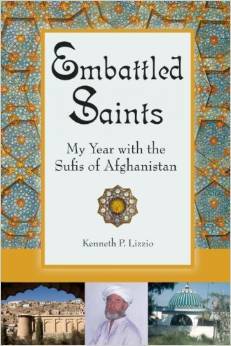 Besides Miftah al-Jannah, he authored a number of essays on important issues. He put Safinat al-Najah, the well-known primer in Shafi`i law, into verse. From a young age he had been gifted with great poetic ability and he left behind a Diwan of his poems. Towards the end of his life he would divide his time between Mombasa and Jeddah, until poor health prevented him from travelling to East Africa. Heads of state would come to visit him to pay their respects and ask for his prayers and advice, along with a constant stream of visitors and students. He left an indelible mark on all those with whom he came into contact and many of them went on to call others to Allah in the same merciful way as he did. We are fortunate to have some of these people in our communities around the world. He finally departed from this life on 14th Rajab 1416 (1995). The funeral prayer was performed over him first in Jeddah and was led by Sayyid Muhammad `Alawi al-Maliki, in the presence of Habib `Abd al-Qadir al-Saqqaf. It was then performed again in the Masjid al-Haram in Makkah before he was placed in the blessed earth of the `Alawi enclosure in the Ma`la cemetery. May Allah raise him to the highest of ranks and help us to preserve his legacy. 1 Sayyid `Umar was the brother of the great Imam `Abdullah bin `Alawi al-Haddad, who is thus Habib Ahmad’s great uncle.